I have fine, flyaway hair that grows very slowly. I also coloured it for the last two years without realising the damage I was doing, making it very dry especially at the ends. My hairdresser put me onto Joico K-Pak Colour Therapy shampoo and conditioner last year and the condition of my hair has improved no end. This conditioner is really amazing, leave it on for a minute and I notice how manageable my hair is where before it was just a frizzy mess, it literally feels like my hair is drinking up the conditioner, without out it feeling heavy. Every so often I use a normal conditioner on my hair (at hotels, at friend's house) and the difference is marked. 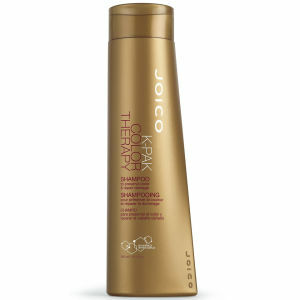 I can't recommend Joico Colour Therapy conditioner highly enough.